Blue Whale ( Balaenoptera musculus ), measures over 30 meters and weights some 150 tonnes, is the largest creature ever found on Planet Earth. The name of the Blue Whale comes from their grayish blue skin which appears turquoise when they come near to the surface under the bright sun. According to scientists, blue whales can be classified into four subspecies, namely B. m. musculus in the northern hemisphere, B. m. intermedia in the Antarctic, B. m. brevicauda (Pygmy Blue Whale) in the southern hemisphere, as well as B. m. indica (Great Indian Blue Whale or Pygmy Blue Whale) in the northern Indian Ocean. Some scientists classified the last group into B. m. brevicauda. 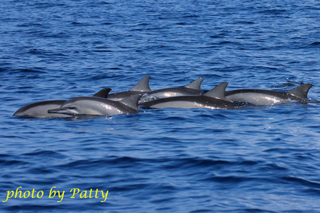 Have you ever imagined how it would feel if you meet these large creatures at sea while you are on a very small boat? 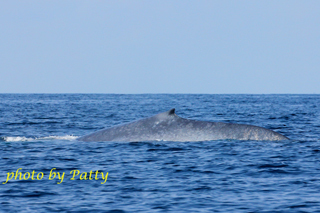 Earlier this year, I went to Sri Lanka in the Indian Ocean to look for the migrating pygmy blue whales. Although they are called “pygmy”, they can still measure up to 24 meters! Why do Blue Whales migrate? From May to October each year, the south-west monsoon prevails in the Indian Ocean and push surface sea water in the Arabian Sea of eastern Africa eastward. Part of the current passes through Sri Lanka and enters into the Bay of Bengal . This forms the Indian Monsoon Current. From December to March, this oceanic current reverses with the approach of the north-east monsoon and flows westward to the Arabian Sea . 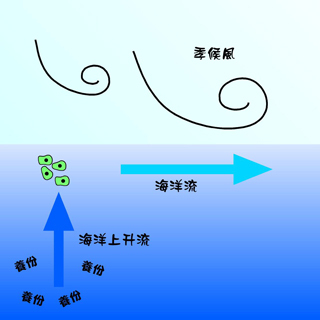 While the surface sea water is pushed forward by the monsoon wind, water rich in nutrients rises from the deep to fill the gap and forms an ocean upwelling zone. In tropical region with abundant sunlight, the supply of nutrients from the deep allow phytoplankton (e.g. algae) to flourish and the abundance of phytoplankton in turn serves as food for zooplanktons, hence making the upwelling zone an area of extraordinarily high primary and secondary production. 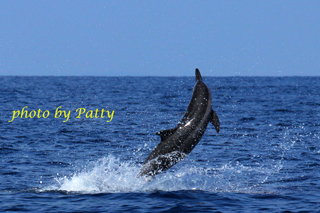 The plentiful zooplanktons then feed other consumers higher up in the marine food chain, from small fish to large fish and then dolphins. 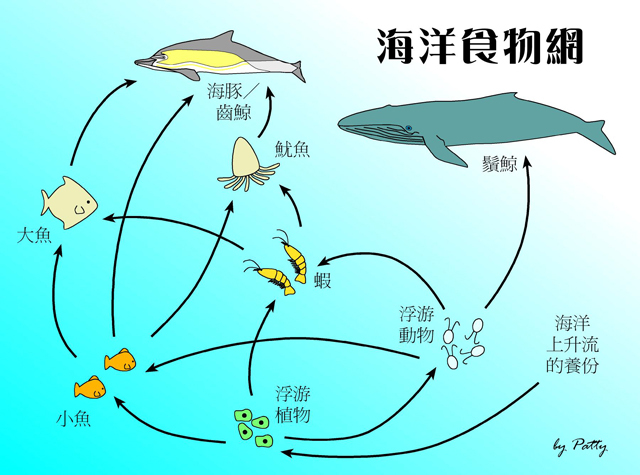 A complicated and yet sophisticated marine food web is then formed. Blue whales are filter feeder. 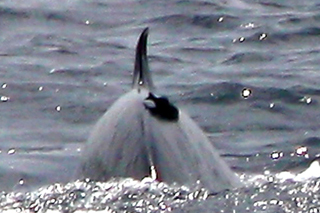 They make use of their closely packed baleen to filter planktons (mainly krills) from the sea water they swallow. For the blue whales, as long as they follow the ocean upwelling zone created by the oceanic current, they will be able to have an abundance of food. They make this long journey for a moving feast! 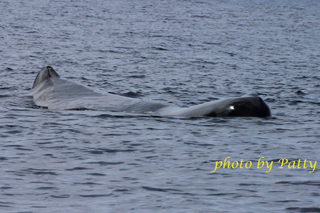 As blue whales stay under water for most of the time and most of them are active only in deep waters, it is by no means easy to conduct long-term observation on them. Hence, scientists only know very little about their actual population size, biology, habits, migration route, breeding grounds, etc. 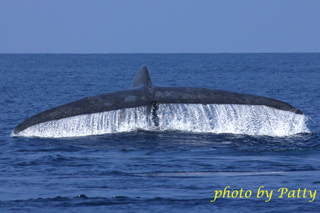 Blue whales are quite mysterious despite the fact that they are the world's largest creature. 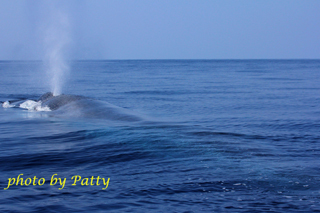 It is never an easy task to locate a blue whale in the vast ocean. I had been at sea under the strong sun for some five hours, but the blue whale was nowhere to be found! 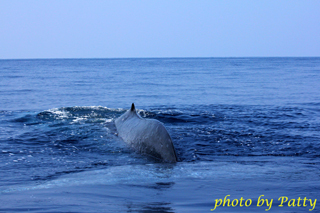 According to the long term observation of Dr Charles Anderson, marine biologist in the Indian Ocean, migrating blue whales can be seen at Galle of southern Sri Lanka in January and April. 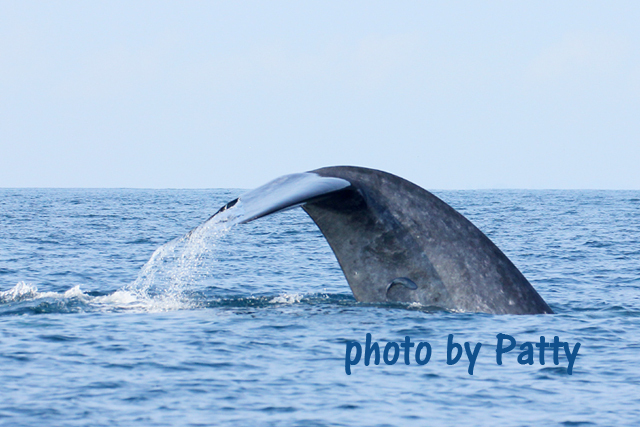 While in February and March, blue whales can be seen feeding off Trincomalee in eastern Sri Lanka . 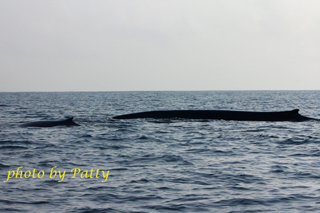 This is because a sea canyon can be found off Trincomalee, making it an ideal place for the blue whales to feed as it accumulates the nutrients and planktons brought in by the oceanic current. 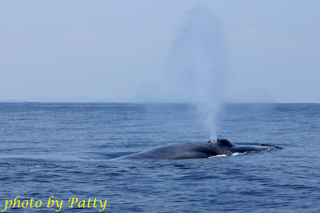 Local observers also found out that a group of blue whales may be residing in the eastern waters of Sri Lanka . Yet, further study will be needed to confirm this observation. he civil war of Sri Lanka ended only in mid 2009 and scattered conflicts still occur in the country. 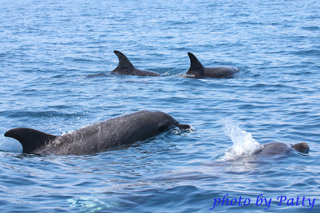 The whale watching industry is still at its initial phase. As Galle in the south is further away from the battlefront, its tourism development is better and faster. Since Trincomalee in the north-east is much closer to the base of the Tamil Tigers, tourism is only developing rather slowly. Lots of improvements are needed in the infrastructure, and the so-called whale watching boat is merely a small speedboat without any shade or toilet. It is not a very pleasant experience to stay under the hot equatorial sun for five to seven hours. It can also be a bit scary to see heavily armed soldiers on the street of Trincomalee and all boats have to register with the navy every time they head out to the sea. 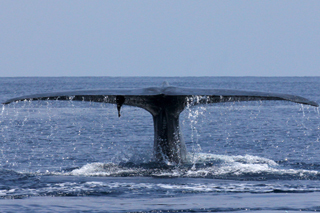 The blue whales have been protected by the International Whaling Commission since 1966. 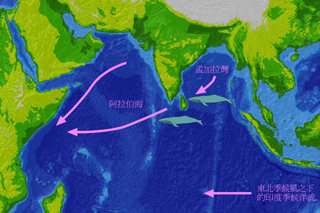 Yet, it was only until 1972 that the Soviet and Japanese fleets stopped their illegal whaling activities in the Indian Ocean and the northern Pacific Ocean . After a period of unscrupulous whaling, only less than 1% of the original blue whale population in the Antarctic was left. This jeopardized the gene pool of blue whales tremendously. 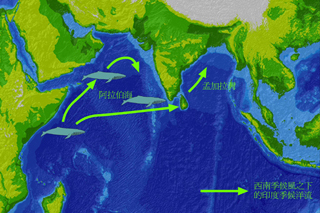 At present, the blue whales are no longer directly affected by whaling. But they are now being threatened by other human-induced factors, including noise pollution, vessel strike, prey depletion, etc. 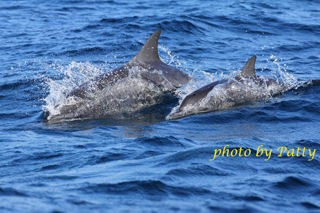 The year 2009 marked the 30 th anniversary of the Indian Ocean Sanctuary. Representatives from over 22 countries attended a symposium at the Maldives . 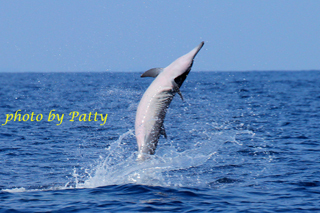 At the end of the symposium, they announced the Lankanfinolhu ( Maldives ) Declaration to confirm the importance of cetaceans to the ecology of the Indian Ocean as well as to the people living along the coast of the whole Indian Ocean . 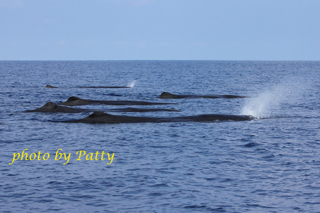 From the photos, you'd probably notice that the blue whales are always attached with one or few small fish. These fish are called remora or sucker fish. They mainly attach to hosts like whales or dolphins and feed on the scraps from the host or the parasites on the skin. 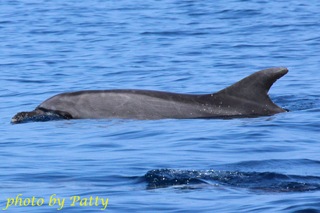 If your are interested in joining Dr Charles Anderson, the renowned cetacean expert of the Indian Ocean, to look for the Pygmy Blue Whales, please visit this website: http://www.whale-and-dolphin.com/index.htm.